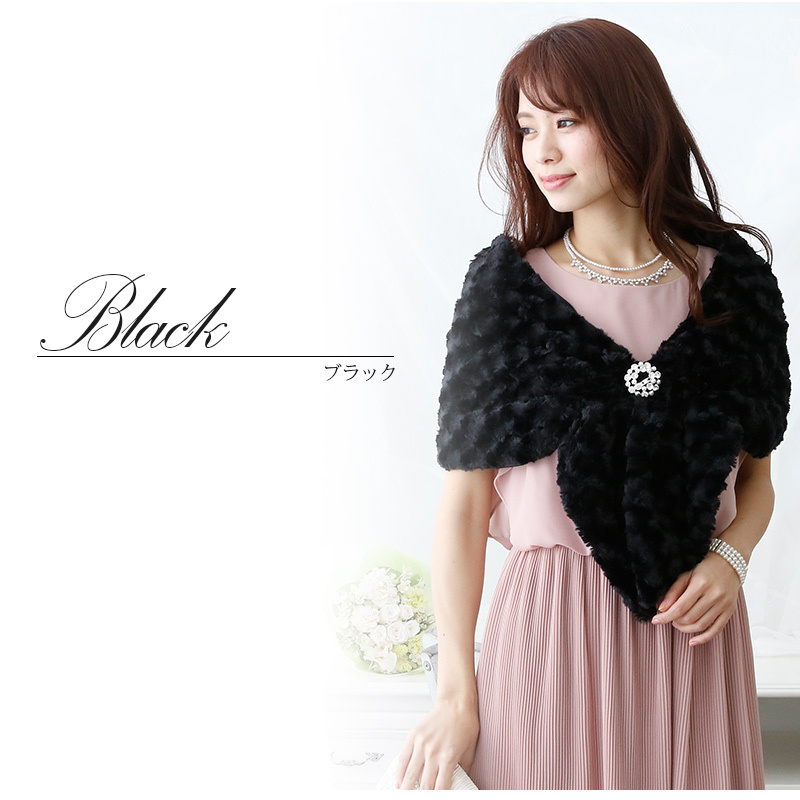 I wrap up upper arm with a wide shawl completely. 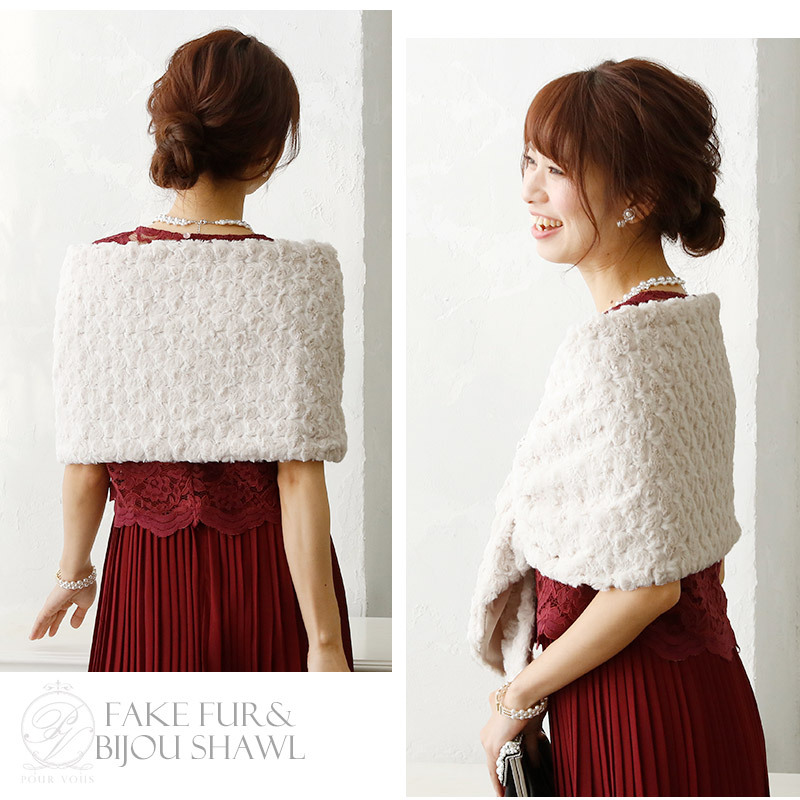 The shawl using the comfortable soft fake fur. As there is the glossiness, it is good to the gorgeous seats of parties. A bijou decoration emitting brightness is an accent. As it is removable, I can arrange it to preference. 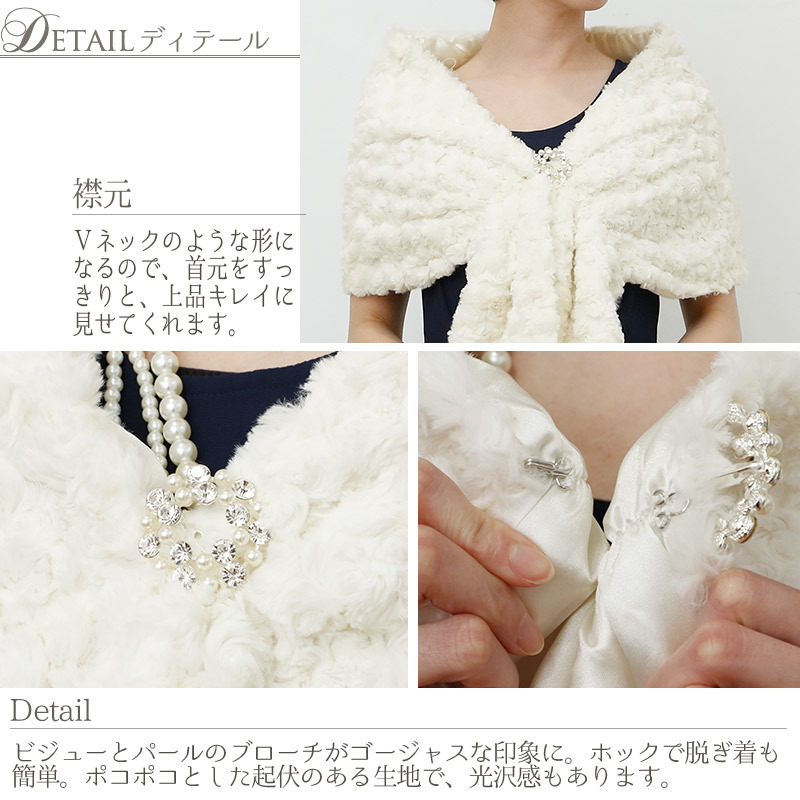 As it becomes the form such as the V neck, refined beauty can see a neck clearly. In the impression that a bijou and the broach of the pearl are gorgeous. I take it off by a hook, and wearing it is easy. With the cloth with the ups and downs that I did here and there, there is the glossiness, too. 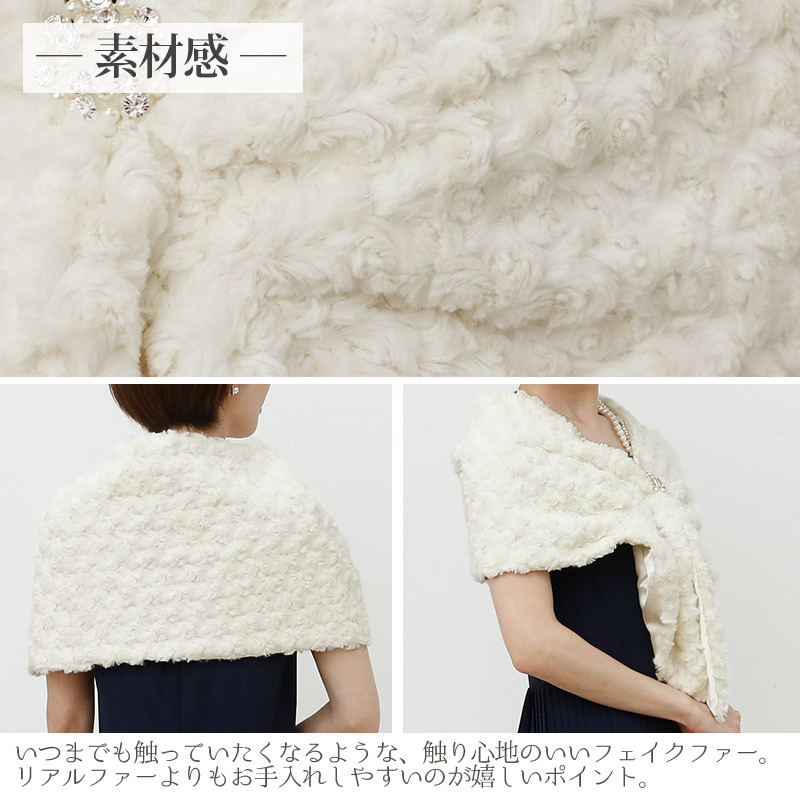 A good fake fur of the touch that I want to be involved in forever. The point that is glad that it is easy to care for it than real fur.